Are you near Palm Coast, Florida? If so, drop by the free seminar tonight and learn more about RYZE.Ai and how you can benefit. 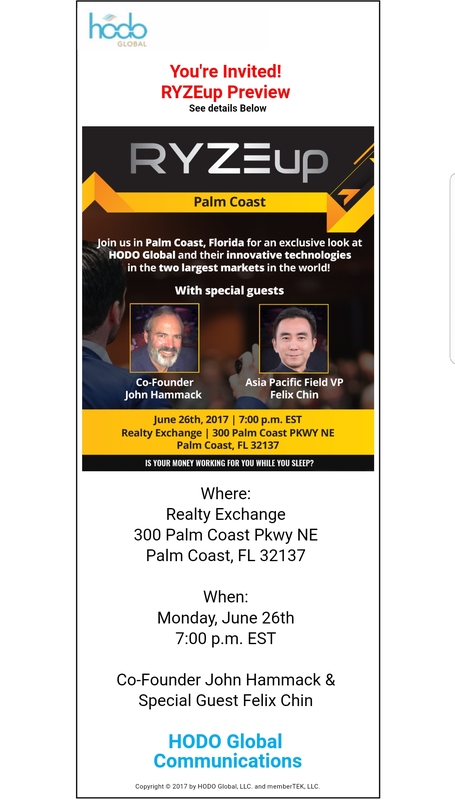 This entry was posted in Event Invitation and tagged currency trading, goRYZE, Ryze.ai, RYZE.Ai Performance, RYZE.Ai Seminar, RYZE.Ai Software on June 26, 2017 by Xin Zhang.